I always find one of the difficult, but also fun things about choosing to make a salad as an appetizer, or entree is choosing what goes into the salad. So easily, the ingredients can start to add up and turn the salad from a healthy smart choice, to lettuce with mountains of fattening (the bad kinds of fat!) toppings, and dressing. I took to Instagram to find this week’s recipe to satisfy my love for avocado, and chipotle. 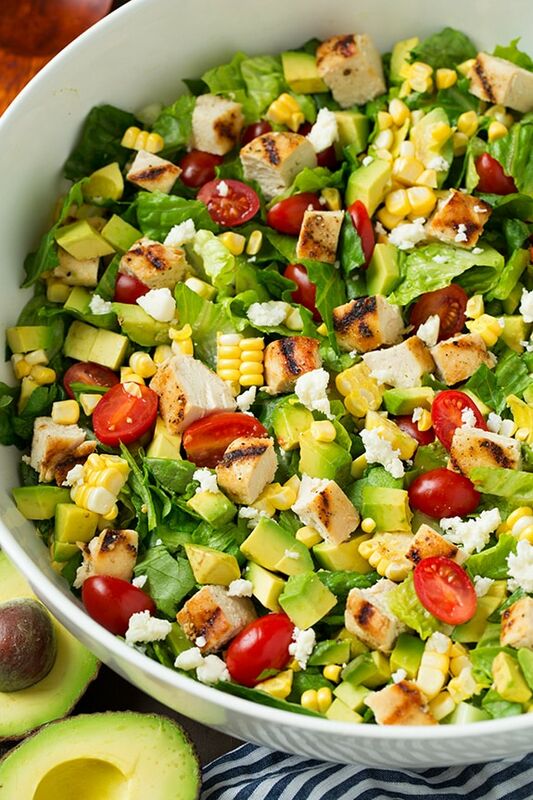 Add all salad ingredients to a large bowl and gently toss. Plate and serve with Chipotle-Lime Ranch. Add all ingredients to a food processor and pulse until chipotle peppers are well minced. Add in a few more tablespoons of buttermilk to thin as needed. Store in refrigerator in an airtight container. #MusicMonday: Kyga Split? Back Together? Who Knows. http://brewsker.com/2015/12/02/salted-chocolate-and-avocado-raw-cake-recipe/ let me know what you think of it!